Omega Custom Tackle has been in business for near a decade. Anglers from Missouri, Arkansas, and some part of the TVA Chain have been familiar with their products for quite sometime. Recently Omega Custom Tackle went under new ownership and with that came totally new designs of popular baits. Seeing some of their new products first hand at I-Cast 2018 and meeting with new owner Brad Fuller and painter Trey Harpel, I came away very impressed at some new products Omega had to offer the fishing market. Being familiar with the older product I wanted to see what was new or innovative and what the company was pushing foward with. Several products caught my eye and after testing them, I'm ready to give you my final answer straight from the Baitman's mouth. This was the first bait I set my eyes on at I-Cast 2018 from Omega Custom Tackle. Fellow friend and Pro-Angler Jeff Dobson, knows I'm a spinnerbait freak. Jeff showed me exactly how the quick-change system worked. In less than a minute he went from a Tandem-Willow to Double-Willow spinnerbait.. As Jeff showed me more new products from Omega I kept thinking about that spinnerbait...I'm a guy that is REALLY picky with my spinnerbaits, so being able to save a little money and not buy every blade combination under the sun interested me. The concept is great and I found it very easy to put my own blade on the clevice, if I chose to do so. Any product that can help the consumer modify a bait to their own imagination without breaking the bank with extra parts or accessories is great. The overall design of the Genesis TI I is basically what I look for in a spinnerbait. And by that, I have always been a fan of the bullet shaped head design like the Nichols Pulsator or War Eagle. That bullet head design allows for water to flow correctly over the head cutting water easily, but also allowing it run across the body or skirt, creating a a nice pulsing action. I see so many guys that just throw a spinnerbait out, and reel it in. I prefer snapping or twitching my rod during the retrieve which causes the blades to bang together or give that skirt some extra flare. The Genesis TI is perfect for power fishing, which is my preferred way to fish a spinner bait. Dual retention bands keep the skirt on the head cast after cast, while the shank features a double wire keeper. This is great for anglers that love tipping their spinnerbaits with their favorite trailer. The beauty of the Genesis TI skirt, leaves that up to the angler. With the extra long cut, a trailer isn't necessary, and it even hides your favorite trailer hook. Performance wise, I loved the way this spinnerbait felt when coming through the water. Here's what you usually get with a spinnerbait, it runs super smooth but it has no "Thump", or you get one that "Thumps" but you're constantly tuning it. The Genesis TI performed great for me at a steady to slow retrieve. Now, this isn't a finesse spinnerbait and it certaintly isn't a burner, especially in the blade configuration I was using, but I can certainly see fishing it faster to cover water without blowing out. Durability wise, it held up great. If you live in the land of toothy critters or big fat brownfish this isn't going to be a one and done spinnerbait simply because of the Titanium Wire. (Hence the name Genesis TI). The Genesis TI by Omega Custom Tackle is a great value at 9.99, especially for a customizable Titanium Wire Spinnerbait. Premium plated blades, sampo components, and a custom painted head to match your skirt choice. Will it replace EVERY spinnerbait in your box? No, it wont. But what it will do is offer you several new options in one package. Omega Custom Tackle also offers completely custom Genesis TI spinnerbaits on their website to fit your personal needs, and that is simply great customer service. Here is what I didnt know, that I know now. 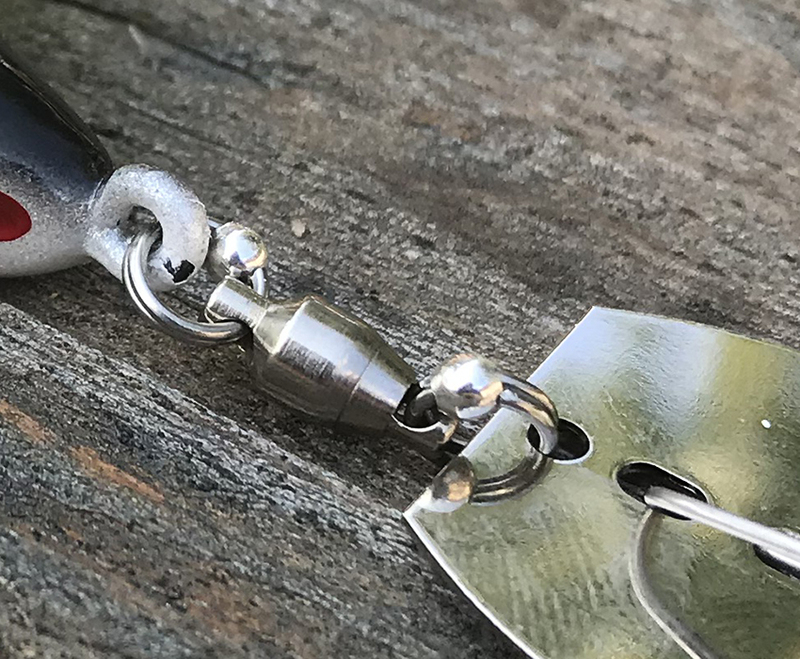 The Rapture has a unique connection between the blade and the head, which is something that many vibrating jig makers struggle with getting RIGHT. Of course Z-Man, makers of the original Chatterbait, have a 15 year patent on their direct-to-head connection (It is running out soon) so cmpanies have been searching for an alternate connection. 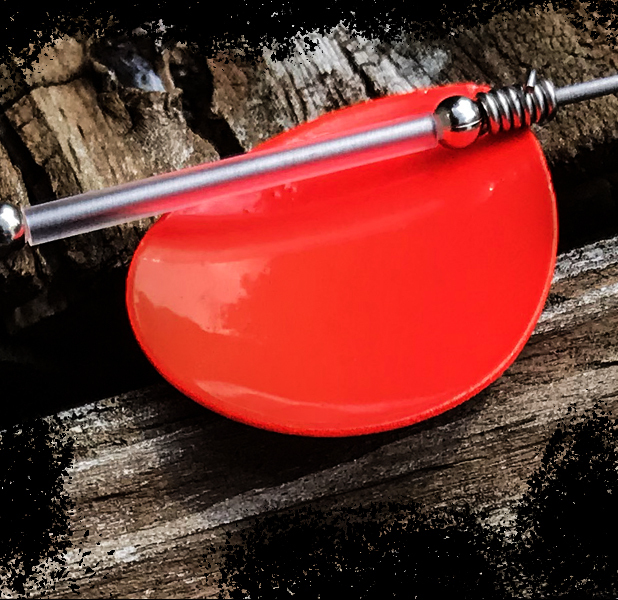 This is the MOST important part of a bladed-jig, and if you dont believe me watch this video from Tactical Bassin. Omega Custom Tackle got this right. The Rapture vibrates very well on a slow roll and at medium to fast retrieves. It also engages vibration rather quickly, although its not the quickest I've ever used it also doesn't come at a $16.99 price tag. The connection also keeps the bait from "blowing" out at higher speeds and tracking faily straight. I prefer my vibrating jigs to have some erratic action and this thing does. As Harry said in Days of Thunder "Lose is fast an on the edge of out of control." Not sure what else you could want out of the Rapture Vibrating Jig especially for the price of $9.99 . Great Hook, premium components, extended skirt, painted heads and a unique head-to- blade attachment system all come standard. Anglers looking for a more compact version, will probably shy away. It is a bit bulkier than many other bladed jigs on the market, but it's nothing a pair of scissors cant take care of. I recommend stop reading this review and try one out for yourself.